We are back with the news on the Patent Wars but this time around the usual names like Samsung and Apple have been replaced by Nokia and RIM. Yes in a change of events, Nokia has sued the already-in-much-troubles BlackBerry maker, Research In Motion (RIM) in Munich, Germany for infringing on the patents held by the Finnish giant. It is also to be noted that two months back also, Nokia had filed patent lawsuits against RIM, HTC and Viewsonic and now adding to that list are three more patents which Nokia says RIM had infringed. EP1474750 on a “method and system for storing and transferring multimedia tags”. Nokia is also asserting this one against HTC in Mannheim. 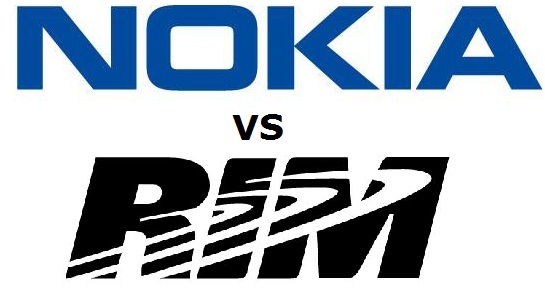 For now Nokia has sued RIM only in Germany but where ever the case may be filed, the trouble for RIM has only increased. The news comes in from Foss Patents who also says that Nokia has a fairly large amount of IP portfolio but still RIM would like to countersue Nokia. We do not know what the outcome of this patent infringement case would be, but hope that the court decides in the interest of the consumer.